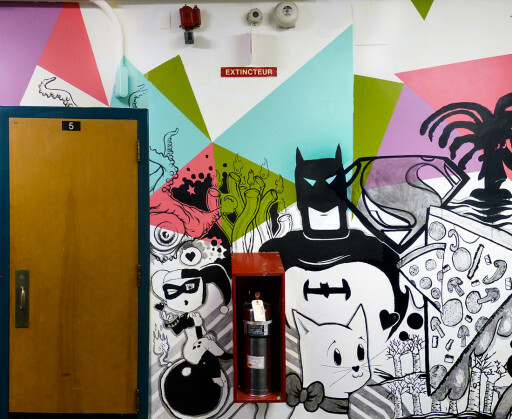 En Masse Pour Les Masses is a branch from En Masse, a project that provides mentorship and pedagogical programming mostly in schools across Quebec. 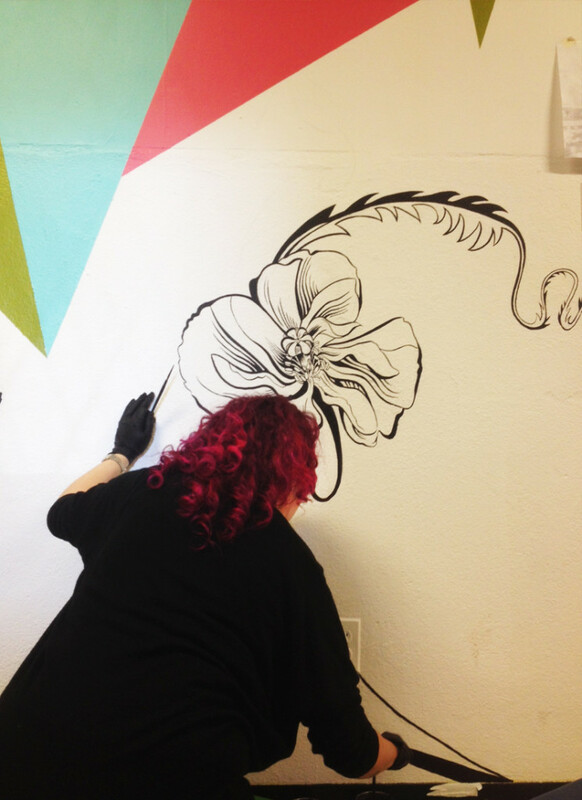 EMPLM works to strengthen communities by creating collaborative, large-scale, black-and-white murals. 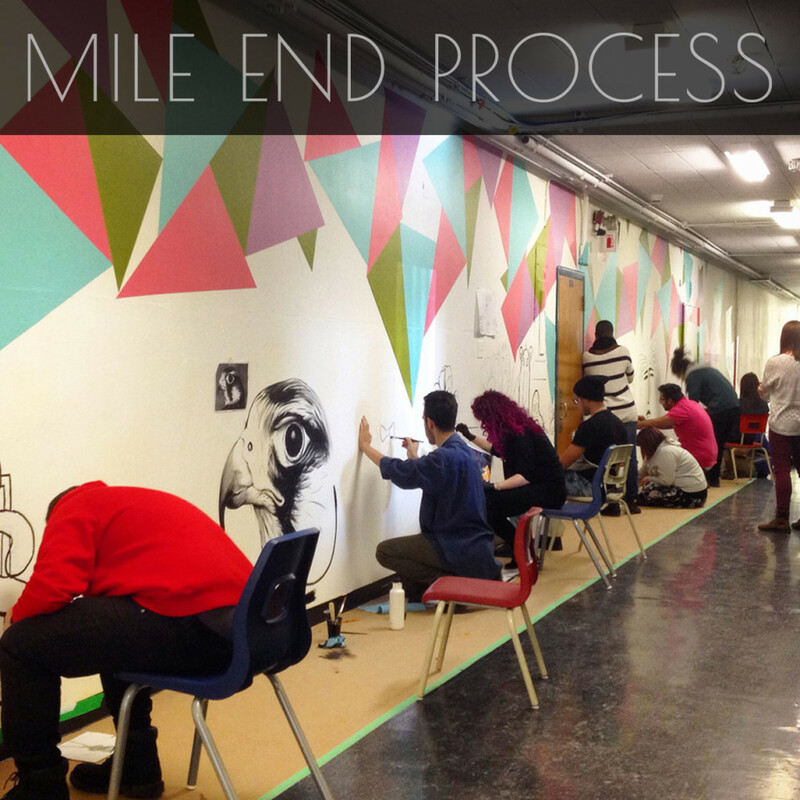 Programme Mile End is for students between 15 and 18 years of age who have not met with success in other high schools. 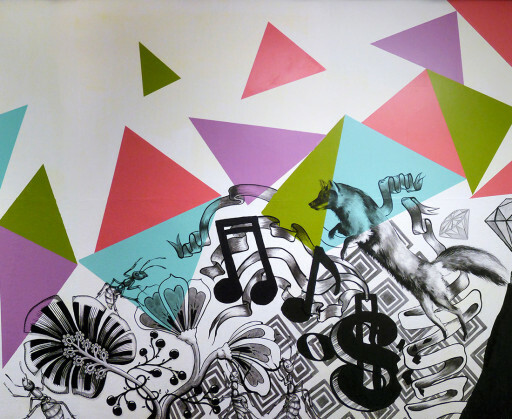 It offers a variety of ways for students to reengage with school. 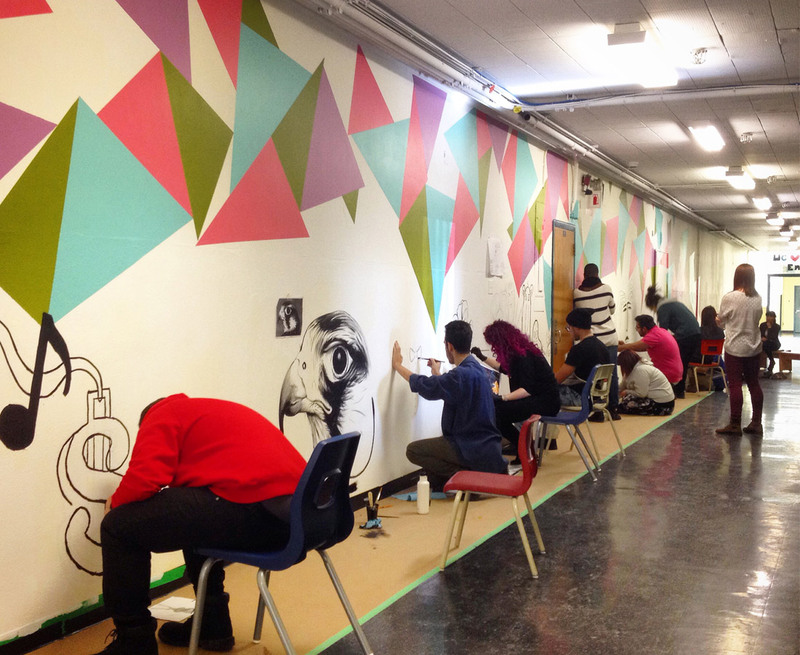 Teachers work with students to help them get back on track academically in order to either obtain a Secondary School Diploma leading to further studies in CEGEP or to pursue vocational training. 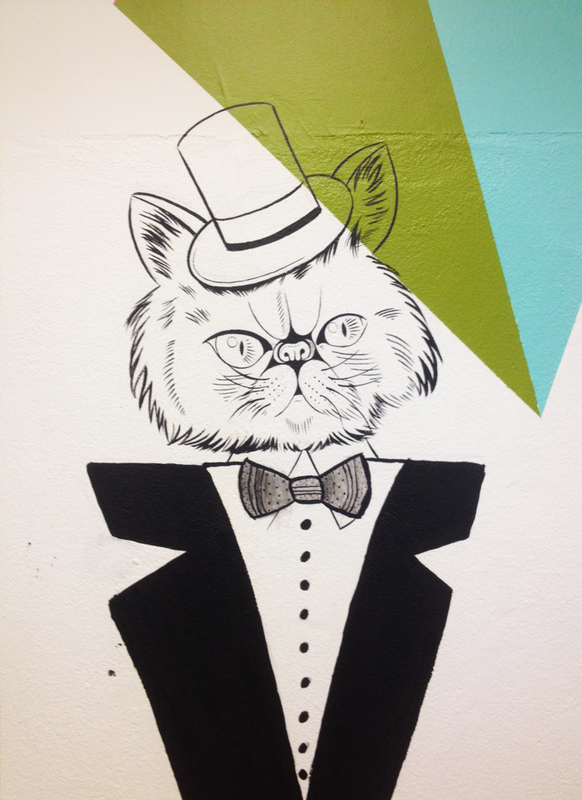 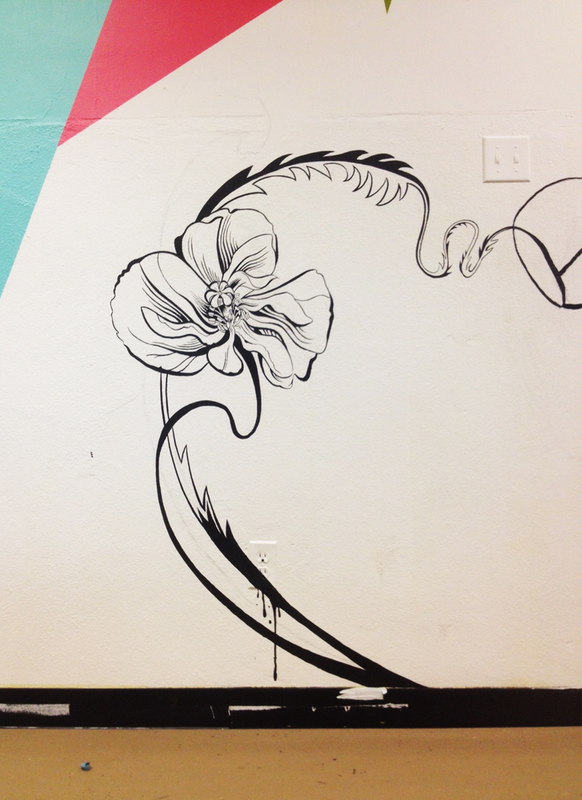 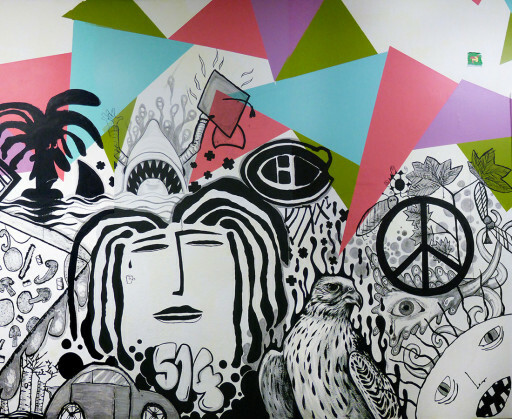 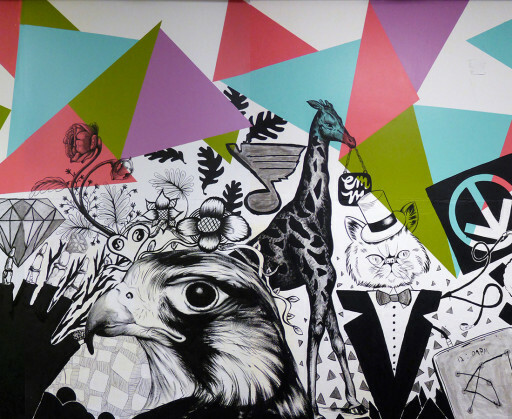 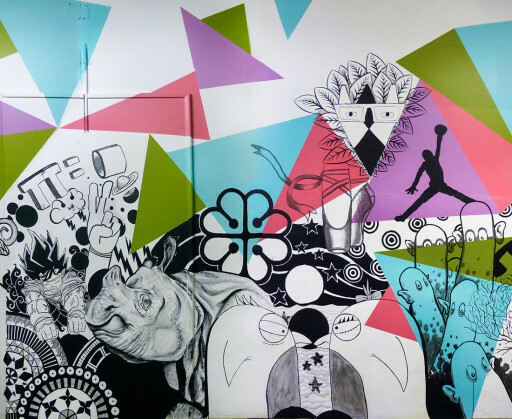 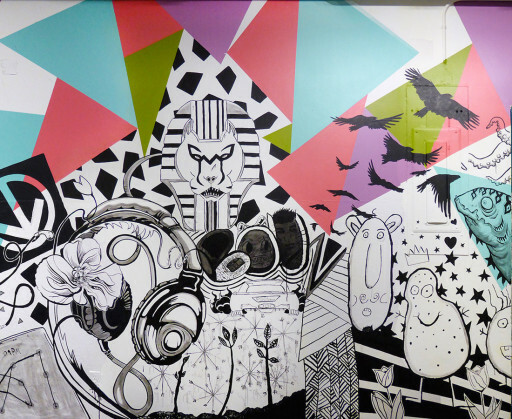 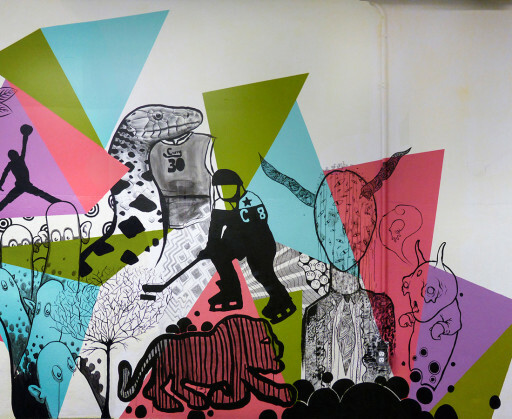 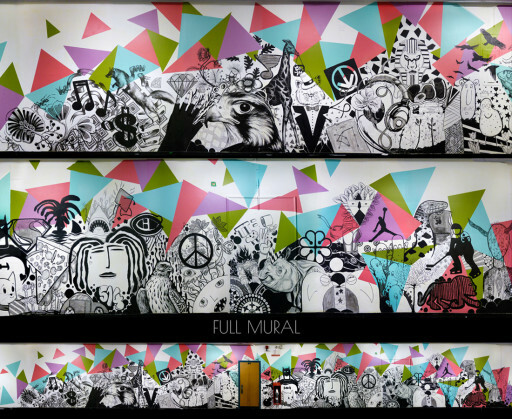 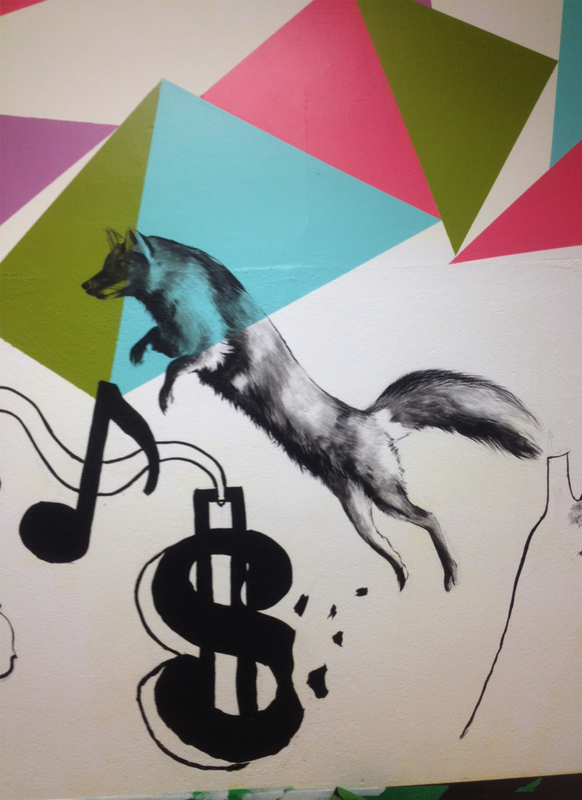 EMPLM painted a concept mural where students and artists worked on a wall over 60ft in length.